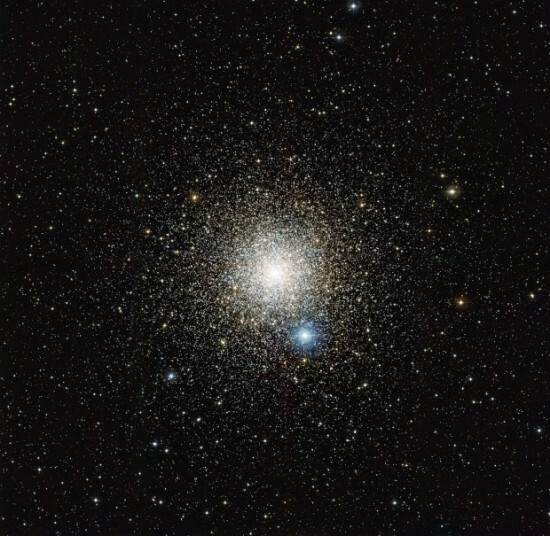 A second generation of stars in the globular cluster NGC 6752 stopped evolving. Perhaps they’re waiting for a better theory. The idea that stars evolve is one of those unjustifiable preconceptions with which observations are interpreted and understood. With that idea for ink, astronomers can draw explanatory curves through the observed characteristics of particular stars. The curves are collected into a Theory of Stellar Evolution, which is claimed to be verified by all the observations that lie on the curves (or at least close to them). No one has actually observed any particular star evolve. No one has seen a star move along the curve theoretically set out for it. A few have been observed to jump from one curve to another, but they were easily ignored. The idea that an observation that doesn’t fit the curve falsifies the theory and requires trying out other preconceptions is naive: People are not that easily convinced to abandon or even to question their prior beliefs. The usual practice is to patch the theory and to dismiss alternatives out of hand. If patching fails, the discrepant observation is simply ignored and any gadflies who persist in mentioning it are expelled. We can be sure that “fixing” means “patching.” Considering other preconceptions is taboo. Cosmic electricity is not to be mentioned. If stars are externally powered by galactic electric circuits, their characteristics will vary with changes in the currents that drive them. A surge or “brown-out” will cause a star to jump to another spectral class or to explode. See, for example, the section “Stellar Evolution Counter-Examples” in Donald E. Scott’s book The Electric Sky, pp. 159-162 (online at http://electric-cosmos.org/hrdiagr.htm ). This process, too, could be couched in terms of evolution, just as you could speak of a light bulb evolving from the time you turn it on until it burns out. But that is not the most useful or apt idea to use for an understanding that enables you to do things with it. The most useful aspect of the idea of stellar evolution may be that it will turn out to be wrong.